Dr. Ghimire has strong track record as Manager, researcher and teacher. 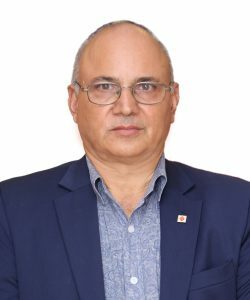 He has substantial experience in managing a business and an organization; general administrative, finance and human resource management, project Management at senior executive level such as Managing Director of Liberty Hydropower Company, (25 MW power development Project), (Current), Director, Board of Directors, Orbit Energy Co. Pvt. 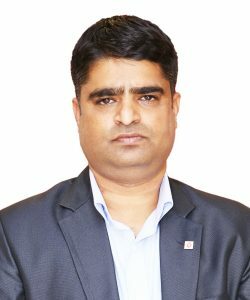 Ltd. (current), Immediate Chairman, Nepal Investor’s Forum (2072-2074), General Manager (Data Systems International (1984-1992), Managing Director CSIT Pvt. 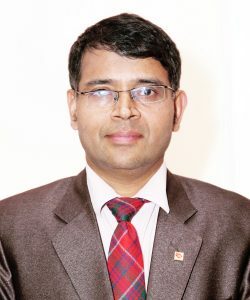 Ltd. (1992-1997) , Management Consultant, UNDP Nepal (1999-2000), Executive Director, National Information Technology Sector, Ministry of Science and Technology (2002-2003) and Member Secretary, High Level Commission for Information Technology, Government of Nepal (2003-2007). He has three decade long teaching experience at Tribhuvan University (resigned after becoming Reader), Nepal and two year teaching experience at University of Western Sydney, Australia. He has Research experience in Nepal as Research officer at Nepal Research centers and, ILO project and at University of Western Sydney. He is bachelor of Sanskrit and Economics (T.U. 1977), Master of Economics (T. U. 1980), Diploma in Computer Sciences (1983), Graduate Certificate in Research Studies (UWS, 2008) and completed PHD IN ICT at University of Western Sydney (2012) Australia. He has organized and managed many conferences, participated and presented at least 20 international conferences in USA, Mexico, Finland, Switzerland, Italy, Tunisia, Singapore, Thailand, India, Australia, Canada, Iran, Bangladesh and Pakistan and visited about 40 countries. Some of these visits included presentation of papers and country reports. He has 3 peer reviewed articles published in international journals. He has special interest in stock market and is involved as investors in Nepalese Stock Market since 2050 B.S. and Australian Share Market Since 2008. He is immediate past president of Nepal Investors Forum. 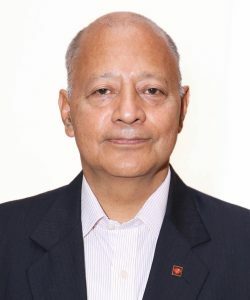 He is life members of Management Association of Nepal, Nepal Investors Forum and Computer Association of Nepal (CAN) and served as General Secretary and Vice president AT CAN. He has participated more than 20 International conferences presenting papers, country reports and has travelled in more than 40 countries in the world. Currently he is a promoter of 7 hydropower companies, one life insurance company, one Microfinance and one ICT company, Nepal Certifying Company, related with digital signature. He is Chairman of Board of NCC. 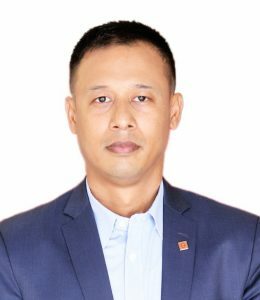 Mr. Amatya has Master’s Degree in Business Administration. He has been handling various position in multiple organizations. He is currently engaged as an Executive Chairman in Sunrise holdings Pvt. Ltd., Chairman in Ilum Agro farm Pvt. Ltd. He was Investment Committee Chairman in Prabhu Capital Ltd. for 3 years where he served as one of the Board of Directors as well. Currently, he is a Board of Director in Shuvam Power Ltd, Barun hydropower Ltd, Shuvam paper industries. He is involved in 5 hydropower projects as a promoter; and moreover more than 10 promoter shareholders in different similar organizations. He has keen interests in marketing communications sectors as well. He has been serving in Supreme Marketing and Advertising as an Executive Chairman. Mr. Pokharel is possessing enormous experience in the Banking field for more than 25 years. Currently, he is associated with Prabhu Bank Ltd. at the capacity of Deputy General Manager.He has completed his master of Degree in Marketing form T U and holding Bachelor Degree in Physics. Mr. Malla has nearly 5 decades of thriving experience in the printing history in Nepal. He has been involved in printing press since B.S. 2028. Giving his career towards further more height he started “Sharada Patrika” as an Executive Chief Editor. Currently he has been involved in Web Printers Pvt. Ltd. in Tahachal as an Executive Director. He supervises the Books printing unit over there. Mr. Malla holds Master’s Degree in Marketing & Finance. Mr. Sapkota is Master Degree holder with intensive experience in money transfer and Banking field. He has been working in Prabhu Money Transfer as Deputy General Manager as well as Board of director in Prabhu Bikash Bank Ltd. for more than 7 Years. Mr. Sapkota has also served his expertise in Asha Laghu Bitta on the role of Board of Director.